began in 1985 as a small consulting business to help the OEM industry in a team effort to solve design, production, and distribution problems. The need for prototypes and precision machined products was the start of the machining business which focused on prompt service and high-quality products. Today WELLS TECHNOLOGY offices and manufacturing are located at the facility shown here. 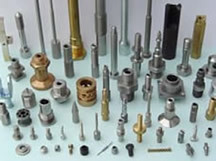 Continual growth in capability now provides a wide range of CNC precision machined products along with the sales of OEM and MRO industrial and construction supplies as an authorized distribution channel for the Fastenal company. WELLS TECHNOLOGY is ISO 9001:2015 certified. 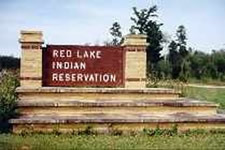 Red Lake Reservation and is a registered member of the Red Lake Indian Tribe. 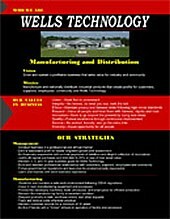 WELLS TECHNOLOGY has been certified by the federal SBA as SB, SDB and MBE. 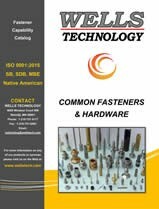 Customers who do business with the DOD will find that WELLS TECHNOLOGY qualifies as a Native American Indian manufacturer of machined products which allows the customer to apply for a 5% DOD business incentive. National Customers for WELLS machined products and WELLS sales of Fastenal supplies are served from the facility in Northern Minnesota. On-time product delivery is assured with common carrier and Fastenal trucking, with over 2300 Fastenal stores and 13 distribution centers located across the USA. Prompt service, quality products, and customer satisfaction are always a priority wherever customers are located. Custom Hardware manufactured to exceed your specifications is our business. Your RFQs receive prompt attention. Bids are carefully prepared by using production records and computer software to analyze costs in materials, tooling, and each lean manufacturing operation. When your purchase orders arrive, drawings and documents are cross-checked with your specifications. To assure process conformity, production documents follow your projects from material selection to machining, finishing, inspections and shipping. Solar panels are up to 35% more productive when they can be positioned toward the sun during daylight hours. Also, by moving the solar panels toward a more vertical position facing East in morning and West in the evening hours, there is less snow buildup during winter months. To capture the additional efficiency of solar panel tracking of the sun, Wells Technology manufactures rugged 2-axis solar tracking equipment for operation in the cold weather of Northern states. Each unit is fabricated from steel, galvanized, and capable of producing over 3,000 Watts per hour in bright sunlight. Wells Technology is financially sound and has met all of its financial obligations since its beginning in 1985. Outstanding bills and invoices are typically paid within 10 days. All financial records are audited each year by a reputable CPA firm and financial statements are available by customer request. Click images above for bank letters.